Here’s a nice new magazine offer! Right now, you can sign up for a FREE 6 issue subscription to Working Mother magazine, no strings attached. You’ll never receive a bill! 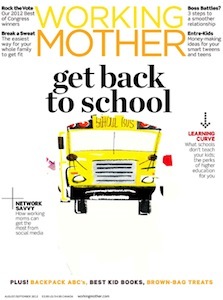 Working Mother is the only national magazine that helps moms with careers balance their personal and professional lives.